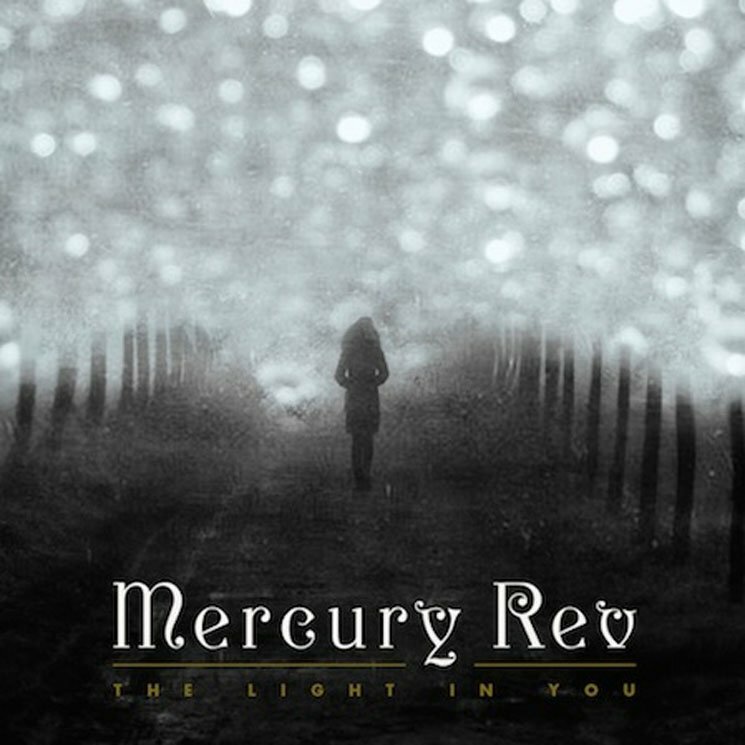 Long-running experimental psych-pop unit Mercury Rev haven't released a new album since 2008's Snowflake Midnight, but that will change this fall. The band have revealed plans for a new LP titled The Light in You, and it's due out on September 18 through Bella Union. The recording process began back in the fall of 2013, and according to guitarist Sean "Grasshopper" Mackowiak, the new tunes feature an eclectic mix of instrumentation including a steel resonator mandolin, timpani, sleigh bells and "all sorts of electric guitars." The record was produced by co-founding members Grasshopper and Jonathan Donahue and recorded in their own basement studio in the Catskills. The new material documents the "ecstatic highs and shivery comedowns" of a turbulent time in the bandmates' lives that saw them experience "calamities both personal and physical," as well as rebirths and the actual birth of Grasshopper's first child. "It was one of those otherworldly life sequences, when everything you think is solid turns molten," said Donahue in a statement, explaining the seven-year gap since the last record. "But also, when something is worth saying, it can take a long time to say it, rather than just blurt it out." As for the album's title, Donahue said: "It's the beacon that shines and allows us to see ourselves — and then there's the music between Grasshopper and I, which is how we reflect each other." The album artwork is pictured above, and you can see the full tracklisting below. Beyond that, you can hear the first single from The Light in You. Titled "The Queen of Swans," it's an appropriately majestic-sounding number with layers of ethereal vocal harmonies and softly strummed guitars that gradually build into a dramatic, orchestral explosion. Hear it below.